AUSTIN — It’s hard for a brand to stand out at South by Southwest — unless you’ve got a pack of cute dogs. 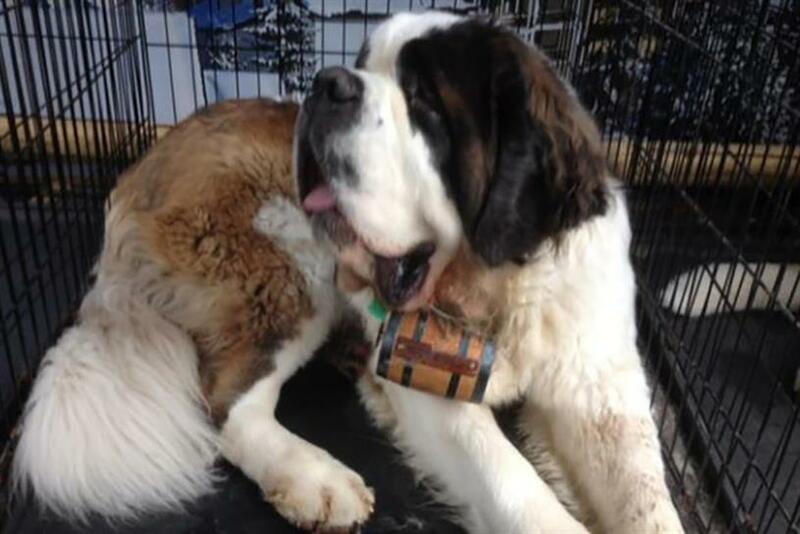 Mophie, which makes battery packs for cell phones, has gained attention at this year’s event for its initiative to dispatch a pack of St. Bernard rescue dogs to help charge attendees’ phones. Festival goers can tweet a screenshot of their dying phone @Mophie for a chance to be rescued by one of the dogs, which carry keychain chargers in small barrel necklaces. The brand’s idea stuck out because it pairs a useful service — finding and fighting for outlets is one of the biggest pains at SXSW — with an emotional connection. Mophie partnered with the St. Bernard Rescue Foundation, which wants to raise awareness and find homes for the breed across the country. This is the fifth year Mophie has activated at SXSW. The brand was previously touted as a "savior" at SXSW for its phone chargers, said marketing manager Kevin Malinowski. "There are natural synergies with the St. Bernards because they save people too," he explained. Accompanied by their handlers or owners, nine full-size dogs and three puppies take turns rescuing SXSW attendees, aiming to charge two phones an hour. Thousands of people have tweeted at Mophie for assistance. Across the street from the Mashable House, where Grumpy Cat was hanging out, was the Mophie Rescue Lounge. On Sunday afternoon, the line to get in stretched down the block. The space, which was decorated like the Swiss Alps in honor of St. Bernards’ homeland, offered an open bar and a DJ spinning loud tracks. About 50 people formed another line inside, but not for the free beer — they were waiting to pet the dogs. "This is more about promoting our brand as a lifestyle," Malinowski said, pointing to the clusters of people drinking Lone Star beer and listening to music. Between deliveries, the St. Bernards stretch out in a rest area within the lounge. The ones working at SXSW are trained show dogs, so they're used to the attention, Malinowski said. "They like the vibe. It’s like a party," he said.